This entry was posted on Monday, October 19th, 2009 at 10:19 am	and is filed under Travel and tagged with Rants. You can follow any responses to this entry through the RSS 2.0 feed. Both comments and pings are currently closed. Nice pun, even if you didn’t intend it! 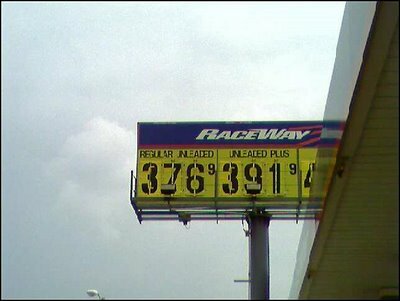 In Hawaii the gas was about $3.29ish. One good reason not to live on an island! But then, I guess the driving distances are a lot shorter too. Thanks for handstanding the wedding too!